They say that a person’s home is their castle, and this is true in many regards. The home is where one can truly relax and be themselves while escaping from the demands of the everyday world. As very few people enjoy living in less than perfect homes, it’s common for individuals to seek out the best furnishings, appliances, and home decor to decorate their humble abode. A home that someone is pleased to live in is a happy home, and happiness has a number of benefits. One such benefit was shown in a study where it was determined that happiness made people 12 more productive. (1) Fortunately for those living in The Avenue at South Orange, New Jersey, they have a lot to be cheerful about as they enjoy quite a few fine amenities. Photo inset: A gourmet market is just across the street, for all your cravings! Whenever a person decides to move, there are quite a few decisions that have to be made. Each individual has their own unique criteria for where they wish to live and exactly what they’re looking for. Some may want to be located close to work whilst others want to live in an exciting and energetic neighborhood. There are those who want the local education to be of the utmost quality for their children, and most people want an area to be low in crime and high in character. For such reasons, many people choose to live in South Orange, New Jersey. Choices always have to be made when deciding on where to live, and more choices await once a person decides to reside at The Avenue apartment complex in South Orange. There is a very diverse array of floor plans from which to pick, but there ways to determine the perfect apartment at The Avenue at South Orange. Most individuals view summer as a special season. It’s the time of year where it’s okay to lounge by the pool, grill some burgers, and just relax. Children love summer as it means that they’re free from the confines of school, being able to stay up all night watching movies or playing video games. 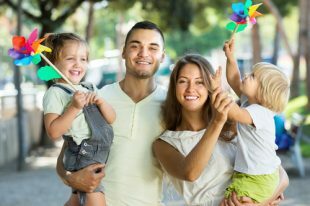 Summer is also the default time period for the family vacation as everyone packs themselves into an SUV and travels upon the open road to the mountains, beach, or even Disney World or Universal Studios. 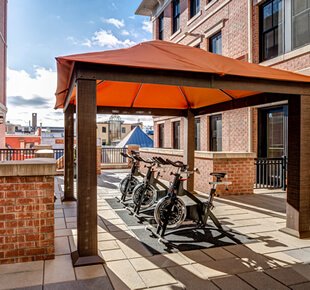 However, residents of The Avenue at South Orange don’t have to plan a lengthy and distant vacation as there’s plenty of fun summer activities that are located close by to the luxury apartment complex. There’s no denying the importance of the date of July 4th in American history. 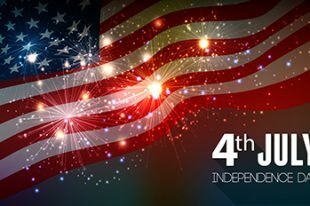 July 4th, 1776, stands as the birth date of the United States as that is when the Second Continental Congress approved the final version of the Declaration of Independence, thus declaring to Great Britain that America was an independent and sovereign nation. (1) Of course, years of strife and struggle followed, but America eventually secured its right to be self-governing. Practically every community in the country celebrates America’s birthday on the Fourth of July through fireworks, barbecue, baseball, and music. Residents of The Avenue at South Orange, New Jersey, look forward to this holiday and are fortunate enough to have quite a few Fourth of July celebrations within a short commute from the apartment complex.